Braaten Law Firm, formerly known as Sarah Vogel Law Partners, was established by Sarah Vogel – former two-term Agricultural Commissioner – and Beth Angus Baumstark. Sarah and Beth have worked together for years, advocating and fighting for farmers, ranchers and other individuals. Derrick Braaten began as an associate to Beth and Sarah and has developed a far-reaching practice working tirelessly on behalf of landowners across the Great Plains and beyond. 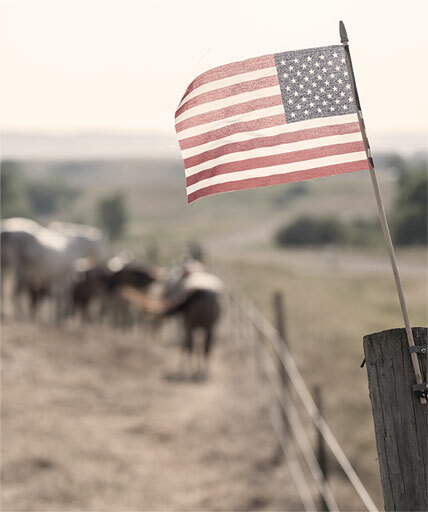 Our practice focuses on legal services for farmers, ranchers and other landowners, from negotiating easements to complex litigation against corporate giants. We push the envelope when it comes to representing landowners and their interests in the judicial system. Although we are not a giant law firm ourselves, we regularly take on the largest firms in the nation. We may not have offices in every major city or an army of legal assistants, but we have the intelligence, experience, and knowledge to even the playing field for landowners taking on principled fights. We care deeply for the land and its stewards, and that philosophy guides everything we do at Braaten Law Firm.